The first and foremost concern that the cancer patients immediately have after realizing about their condition is about getting the right treatment from the right doctor. Cancer patients typically have questions about many things and want to take the step in the right decision as soon as possible, but the important thing for them is to choose the right doctor. A right doctor can help take the right decision about the health of the cancer patient and the line of treatment that he or she must undergo. A wrong selection of a medical expert in terms of experience, field of expertise and education can have serious repercussions on the mental and physical health of the cancer patients and close family members. Recent advances in the field of healthcare has led to establishment of several cancer care hospitals and healthcare centres. However, choosing one of them for your treatment can be a tricky thing to do, for people do not know how to select a single hospital from a long list of options. When you hunt for an oncologist or a hospital for cancer treatment, make sure that you are specific in your choice. Always opt for a doctor who treats certain type of cancer and a hospital with a specialty in treating specific type of cancer. Do that even if it means going out of the city for treatment. For example, only a breast cancer specialist in a hospital with record in treating maximum cases of breast cancer in a year will be able to treat breast cancer perfectly and understand the complexities involved with it. The others may treat you, but there is always some risk. To evaluate different doctors, go after their credentials. Check what they have studied, what all professional medical organizations and groups they are associated with, how much experience they have and what all people who referred to them in the past have to say about their treatment experience. Check out if the doctor is registered under a board or not or whether he or she has received any professional or advances training. Similarly, check out if the hospital that you are planning to approach is accredited under a professional body. ISO and JCI are two such accreditation bodies that ensures that hospitals maintain highest level of quality and patient care. In case you have a rare type of cancer or if you want the highest quality treatment, check out a big and a reputed hospital with several years into operation. Bigger hospitals house all kind of physicians, surgeons and oncologists, in addition to all types of facilities. In case of any emergency, any kind of service can be availed and other oncologists could be consulted without any further delay. Once you are satisfied with the credentials of the doctor and the hospital, check out whether enough support staff is available or not. The support staff that you should look for include pharmacist, counselor, registered nurse, pathologists, radiologists, dietitian, nutritionist and social workers. Ask this simple question to yourself – Would I be able to travel every day or frequently for treatment at this location? 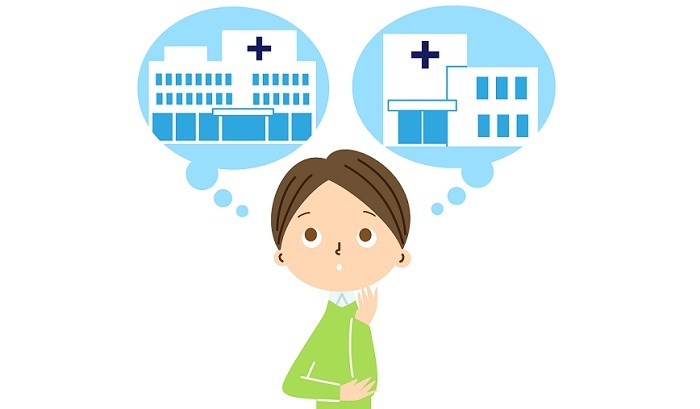 In order to choose the right doctor and a right hospital, you may have to relocate yourself to some place closer so that you can have an easy access to the medical services. You may also wish to ask the doctor about specific day or time that he or she is not available, so that you can plan your visit accordingly. You may even tell the doctor about your preferred timings or days on which you are comfortable coming for treatment.